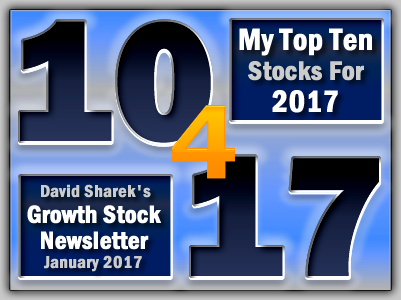 David Sharek’s Top Ten Growth Stocks for 2017 shot up an average of 66% in 2017, beating the S&P 500’s return of 19% for the year. Notables from the list included the “Twitter of China” Weibo (WB) which shot up 151% in 2017 and Tencent (TCEHY) which gained 108%. Weibo’s management made easier creation and consumption of short videos is a top priority for 2017. Will PetIQ’s VetIQ Wellness Centers Be Successful?